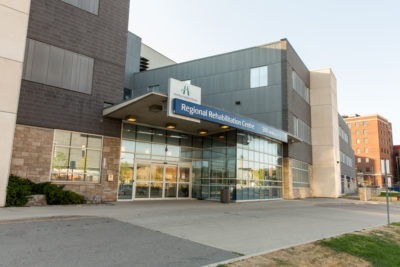 The Stroke Rehabilitation program is part of the Integrated Stroke Program at the Hamilton General Hospital. We provide high intensity rehabilitation to patients with stroke. Our average length of stay is 22-26 days and varies based on severity of the stroke and the individual’s achievable goals. Stroke Prevention Clinic: for patients living in the community who have a new diagnosis or treatment to prevent stroke. Outpatient Rehabilitation services: for patients living in the community who require occupational therapy, physiotherapy, or speech language pathology rehabilitation from a recent stroke. Central South Regional Stroke Network: team dedicated to delivering stroke best practices across Waterloo, Wellington, Hamilton, Niagara, Haldimand, and Brant. When you arrive on B2N, you will be provided with a Stroke Care Binder which is a resource for stroke and allows any information provided by your team to stay in one consistent location. We also include a general “Welcome to B2N” document that outlines the ward and important information for what to bring, what happens on the unit, and information about leaving B2N. Patients who have realistic and achievable functional goals. Questions about the referral process or to discuss the program can be directed to the Stroke Navigator at 905-521 2100 ext 46488. Completed referrals can be faxed to 905-521-2359.